Thanks to Fulton County for all your support! Piccadilly Puppets is very grateful to the Fulton County Board of Commissioners for their support in 2018 through the guidance of the Fulton County Arts Council! Like the FCAC, we believe the arts are essential to the quality of life of our citizens and to the economic and social health of our communities. The mission of the Fulton County Department of Arts and Culture is to insure all citizens’ access to the arts. By supporting us financially, they helped ensure that Piccadilly Puppets could bring our educational entertainment to every district of the county. In 2018, we performed for almost 5,000 people in Fulton County! Welcome in the Chinese New Year with a puppet show! The Emperor loves to garden! We still have some open dates in February to bring this show to your group for the Chinese New Year! We recently did a paper puppet workshop with a group of refugee children in Clarkston. They were so sweet and worked so diligently to decorate their bats, butterflies and people using stickers, markers, and cutting up construction paper for clothes, accessories, etc. They produced the most creative puppets out of such simple materials that I had to share them! Thank you to the City of Atlanta Mayor’s Office of Cultural Affairs! 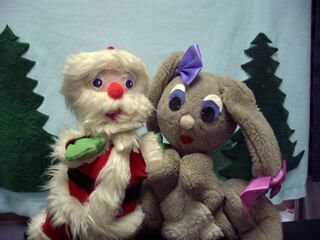 Piccadilly Puppets is a proud recipient of funding from the City of Atlanta Mayor’s Office of Cultural Affairs! We provide puppet performances throughout the City of Atlanta, and the funds help us to cover some expenses, so that we can keep our shows affordable. Funding also enables us to offer discounts to schools that receive Title One funding and other venues in those neighborhoods (such as libraries), and occasionally offer free shows in underserved parts of the city. Thank you so much to the Mayor’s Office of Cultural Affairs for helping us to educate and entertain children in Atlanta through the art of puppetry! Some of Atlanta’s top puppeteers will perform short pieces in a variety style show. Shows will be ongoing throughout the day, along with puppet-making and other games for kids. There will be all kinds of interesting puppets and puppet-related items for sale, as well as concessions. Tickets may be purchased at the door or at the link below: $10 adults, $5 children. Proceeds go to the Atlanta Puppetry Guild, a local chapter of the Puppeteers of America, an organization that promotes the art of puppetry. The Atlanta Puppetry Guild gives local puppeteers and anyone interested in the art form a chance to meet, share ideas, and support one another. One way we do this is through offering scholarships to members to further their craft. Puppet Palooza is a fundraiser for the guild scholarship fund; a percentage of the proceeeds also goes to the Clarkston Community Center. Celebrate at the Grant Park Summer Shade Festival! Come on Sunday! Free! We will be performing Butterfly Ballad at 1:00 pm on Sunday, August 27 in the Kids Zone. The festival also has two music stages, an Artist Market, a 5K, and lots of food vendors, as well as more kids’ activities.